In a blow to thousands of people living in a Palm Beach residential community, a federal district court judge has denied class certification in their lawsuit against a technology company. The plaintiffs in the lawsuit, who live in The Acreage, have alleged that toxins in the soil have reduced property values and caused cancer. Plaintiffs sought to proceed as a class, seeking $1 billion in damages. 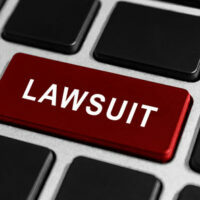 A class action allows similarly injured victims to band together and sue a defendant, and it is often a cost-effective way of bringing mass tort lawsuits. Unfortunately, Judge Kenneth A. Marra, denied certification in the case. In his opinion, he found that plaintiffs had not shown that proceeding as a class action was appropriate because the definition of the class was too broad to satisfy federal law. In the lawsuit, plaintiffs were suing Pratt & Whitney’s parent, United Technologies (UTC), which owns a manufacturing plant just north of the residential community. The campus was also the site of aerospace and rocket testing. According to plaintiffs, UTC shipped soil from its campus to different recycling companies. In all, about 50,000 tons of soil were removed. Plaintiffs allege that the soil was not properly treated or was not sent to treatment facilities, instead ending up in landfills. According to plaintiffs, some of this untreated soil ended up at The Acreage, where it had a negative effect on property values and possibly also caused cancer. The putative class action would have affected about 50,000 residents living in a 60 square-mile area. The judge’s ruling follows a five-day hearing in January. Judge Marra did not decide the case on the merits. Instead, he simply found that a class action was not the appropriate vehicle for deciding the contested issues. Although proceeding as a class action would be beneficial, a class action was not the best way to proceed because each injured victim would need to individually show they were injured by the contaminated soil. Injured victims do not have a right to bring their lawsuit as a class action. Instead, in federal court, a class action must satisfy Rule 23 of the Federal Rules of Civil Procedure. In order to proceed, a judge will need to find that there are common questions of law or fact and that these common questions predominate over individual questions. Furthermore, the class action needs to be a superior method of resolving the dispute. The class action against UTC failed precisely for these reasons. For example, someone who got cancer because of contamination would need to present different evidence than someone whose home value declined because of publicity about contamination. The class action would have become too unwieldy to proceed in this manner. Fortunately, however, injured victims can pursue their claims individually against the defendants. If you have been injured through no fault of your own, you might have a right to financial compensation. At Bundza & Rodriguez, our Daytona Beach personal injury attorneys can identify the party to hold responsible and figure out the best way to proceed.